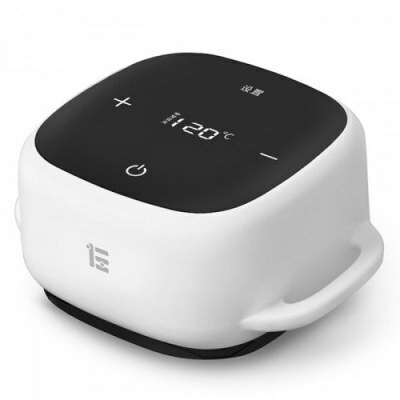 A new and unusual medical device has appeared by surprise in Xiaomi’s MiJia ecosystem. We are referring to ZDEER Moxibustion Box, a curious device that promises to maintain and take care of health through the properties of Moxibustion, coming directly from traditional Chinese medicine. If you are thinking that this is a Chinese tale, we tell you to get that idea out of your head. Moxibustion is an ancient therapeutic method of traditional Chinese medicine that consists of applying heat by stimulating a series of points on the body, which coincide with those of acupuncture. In moxibustion, the therapeutic properties of the root of the Artemis plant are used. It is ground into powder or pressed into a pure form to be burned. The objective? Cure disorders or illnesses and achieve a balance of the body’s physiological functions and energies. According to channel theory, the body functions as a system of networks in which blood flows and energies intercommunicate with each part of the body. Due to external factors (such as heat or cold) as well as emotions, energies become unbalanced. This energy imbalance is the cause of many ailments. And the Chinese manufacturer ZDEER has been clear about it. They have created ZDEER Moxibustion Box, a therapeutic product for health care through Chinese medicine. The body of this device is made of PC + ABS, fireproof and safe materials. The core heating zone uses high temperature resistant PPO. The conductive blade is made of brass, difficult to oxidize, and extending the useful life. And finally, the heating plate, made of aluminum alloy. The ZDEER Moxibustion Box is suitable for the whole family, as the moxibustion process does not generate smoke and incorporates intelligent anti-scalding technology. To the naked eye, it’s small and attention to detail. It incorporates OLED screen with touch control for its use. It includes a pleasant and breathable band to fix to the skin. In addition, it is ideal to transport and to take it with you. It is also possible to access through the Mijia application to control the operation of this device intelligently and in the palm of your hand. You can choose between different modes of moxibustion: conventional moxibustion, comfortable moxibustion, warm moxibustion, partition moxibustion and hot moxibustion. Temperature and time can be controlled intelligently. The first can be adjusted in a range of 40 to 170º and the second between 5 and 60 minutes. Through this process, the pores of the human body are opened, thus, the effect of moxibustion is more easily absorbed by the human body.